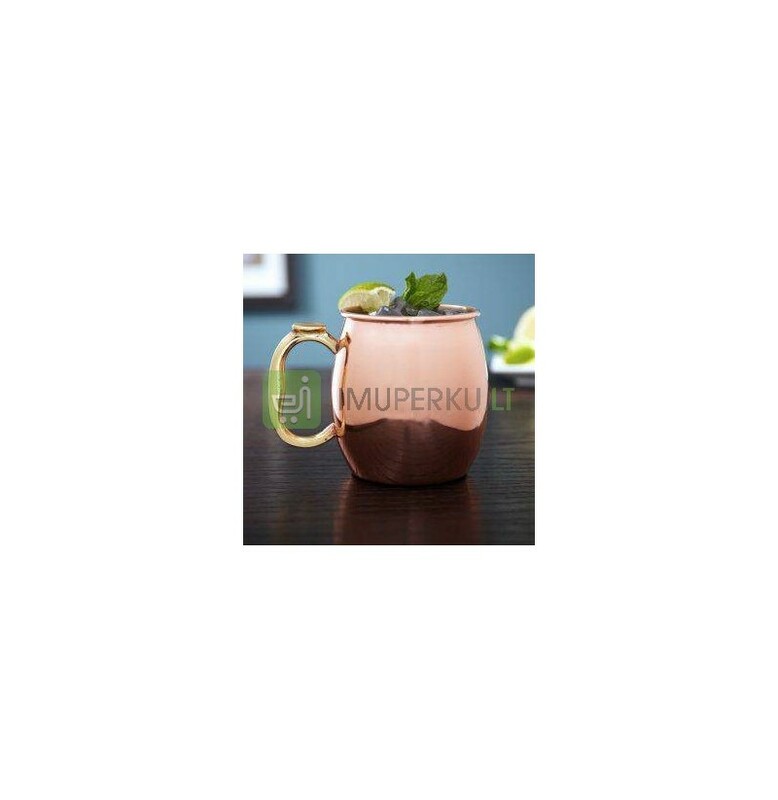 Taste and try the beer or classic amercican coctail Mosow Mule with vodka, ginger beer and lime from our unique cooper plated beer mug. 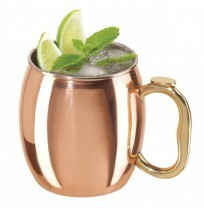 Exactly in such mug should be this discovered in USA popular drink served. 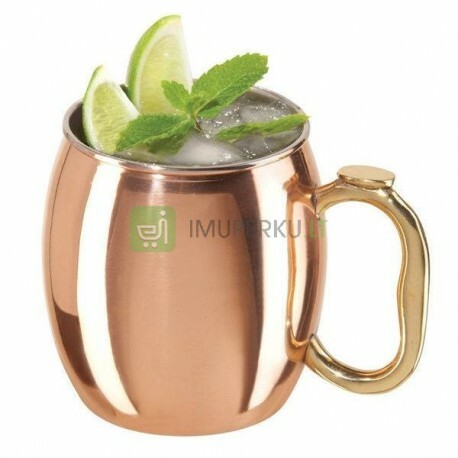 The mug is made inside of brushed stainless steel. Together with thumb rest it looks very original and solid. When filled with cold liquid metal quickly taking on the icy temperature of the coontent. 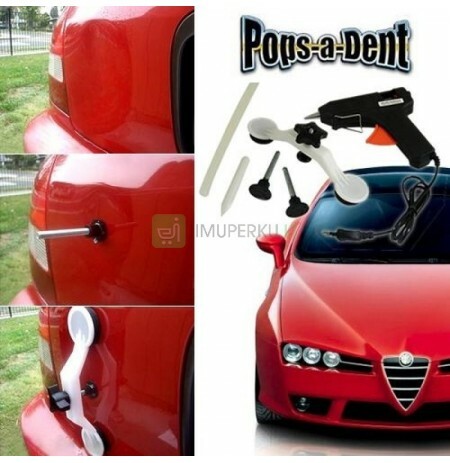 The rim of the mug becomes chilly and offeres a frozen touch on the lips. 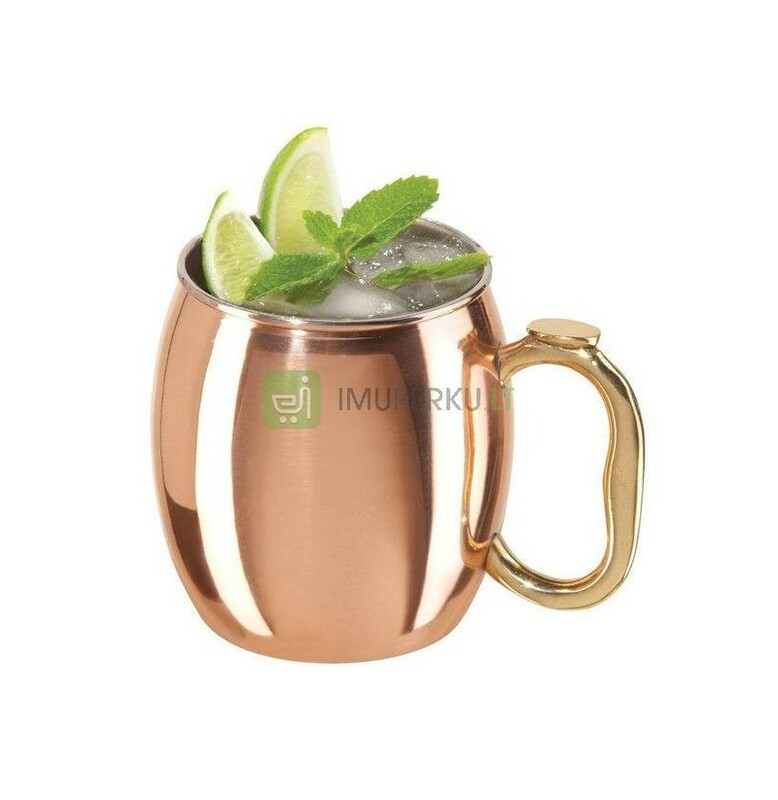 Some people say that the flavor when drinking from copper plated mug is enhanced but taste benefits are a bit more subjective :) Anyway the clearest reason to use copper mugs for Moscow Mules or others coctails is the unusually and nice presentation.